KAMPALA – The meeting between top officials of dfcu Bank and legislators on the Committee of Commissions, Statutory Authorities and State Enterprises ( COSASE) turned dramatic when the officials contradicted each other on circumstances surrounding the take over of Crane Bank Ltd. The Central Bank took over Crane Bank Ltd on 20th October 2016 citing undercapitalisation and later sold the bank to dfcu Bank in January 2017. While appearing before COSASE in 2018, Katimbo Mugwanya who was appointed Statutory Manager, Crane Bank Ltd during the time the institution was under statutory management, denied ever handing over the bank legally, saying he was shocked to see photos on WhatsApp of trucks ferrying documents as he was on his farm. However, dfcu Bank officials on Thursday rejected Mr Katimbo’s statement with William Ssekabembe telling the Committee that the statutory manager lied because he personally handed over Crane Bank to dfcu Bank on 25th January 2017. The dfcu official told the Committee that Crane Bank properties were acquired on 25th January 2017 and transfers registered in February 2017 and this was followed by an evaluation of the assets by the independent Valuers valthese between April-May 2017 yet the Government Chief Valuer endorsed these valuation reports in February 2017. However, DFCU defended their actions saying they first relied on valuation done during the due diligence who took into account of the value of assets, backed by his professional knowledge to come up with value and the April to May 2017 was the formal valuation to be conducted. That is when Committee Vice-Chairperson, Anita Among requested DFCU to furnish the Committee with Crane Bank’s asset register so as to enable the Committee cross check with Government Valuer. The Bank officials, however, asked the Committee to obtain a copy of Crane Bank’s asset register from the Central Bank arguing the document was retained by the regulator. But Katuntu rejected this argument telling DFCU that they’re the ones that DFCU bought Crane Bank and therefore took the asset register with it. 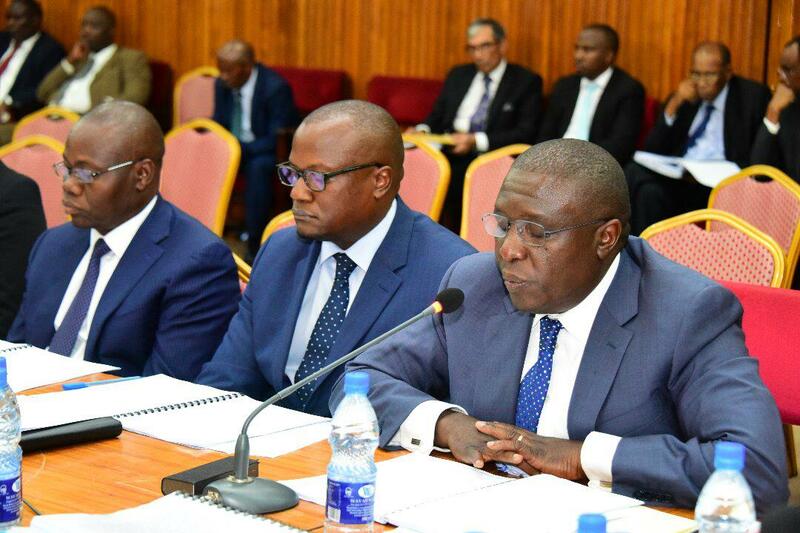 This prompted the Committee to put Ssekamembe on oath, and he maintained his earlier stand that Crane Bank takeover occurred with the consent of Katimbo.